The Master Chorale is committed to advancing the art of choral music by performing great works of the past, commissioning and performing new literature and sharing the joy and power of choral music with new and existing audiences and singers. Praised by music critics from both the Tampa Bay Times and the Tampa Tribune, as "one of the country's finest choirs," “an amazing instrument,” and a “cultural treasure,” The Master Chorale of Tampa Bay has consistently delivered some of the most profoundly moving music performances in the area. 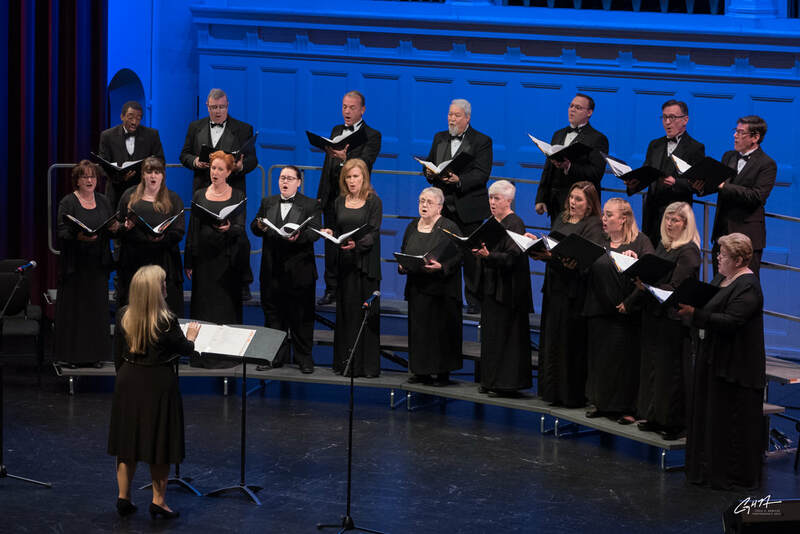 The Master Chorale of Tampa Bay is an auditioned, highly select 150-voice volunteer chorus embracing a broad representation of singers from the entire Tampa Bay area. Recognized as the premier choral ensemble in Tampa Bay, and one of the country’s finest choirs, The Master Chorale of Tampa Bay has a decades-long tradition of elevating the cultural experience of the Tampa Bay community. Furthermore, with internationally distributed recordings and commissions from important contemporary choral composers, the Chorale is consistently advancing the choral art-form. The Master Chorale of Tampa Bay performs 20 - 25 concerts a year, serving approximately 25,000 people. In addition to traditional concerts, the Chorale performs a variety of outreach activities throughout the Tampa Bay community. The Chorale serves Tampa Bay and west central Florida with a mission to advance the art of choral music by performing great works of the past, commissioning and performing new literature and sharing the joy and power of choral music with new and existing audiences and singers. Founded in 1979 by Dr. Robert Summer, The Master Chorale was later incorporated in 1988 as a 501(c)(3). Designated in 1986 as the Principal Chorus of The Florida Orchestra, The Master Chorale is featured annually on The Florida Orchestra’s Masterworks season. In 1999, The Master Chorale was appointed as Artist in Residence at the College of the Arts School of Music at the University of South Florida. Since its inception in 1979, The Master Chorale of Tampa Bay has produced at least one major choral-orchestral work each year. These performances have featured many rare and challenging masterworks including J.S. Bach's Passion According to St. Matthew, Beethoven's Missa Solemnis, Felix Mendelssohn's Elijah,Prokofiev's Alexander Nevsky, Bach’s Mass in B Minor, Fanshawe’s African Sanctus, Walton's Belshazzar's Feast, and Mahler's symphonies number 2, 3 and 8. The Mahler 8th was performed with the Atlanta Symphony Orchestra and Chorus and others under the direction of Robert Shaw and resulted in an internationally distributed recording on the Telarc label. In recent years The Chorale has regularly commissioned some of the most important contemporary composers to write for The Master Chorale including Eric Whitacre (Lux Aurumque), Paul Basler (Missa Kenya), Eleanor Daley (Listen to the Sunrise), Libby Larsen (Whitman’s America), Stephan Paulus (Sing Unto God), Alice Parker (The Rock and the River), René Clausen (Jubilate Deo), Dale Warland (The Voices), and Jake Runestad (We Can Mend the Sky). In March, 2013, The Master Chorale performed Beethoven’s Symphony No. 9 to sold out audiences in Miami with what many critics believe is the greatest American orchestra of the last century, The Cleveland Orchestra. In December, 2011, The Master Chorale was invited to sing with the celebrated Italian tenor, Andrea Bocelli at the Tampa Bay Times Forum. Additionally in 2012, the Chorale recorded two works by Frederick Delius with The Florida Orchestra on the Naxos label and made it to #1 Best Selling Opera/Vocal recording on Amazon and #2 on iTunes and even created some “buzz” in the world of the Grammys. Other appointed conductors during the history of The Master Chorale of Tampa Bay include James K. Bass, Jo-Michael Scheibe, Richard Zielinski and interim conductors include Doreen Rao, Daniel Moe, Duncan Couch, David Brunner, and Joseph Holt. The Master Chorale has performed and premiered many major symphonic choral works under the direction of such outstanding conductors as Jahja Ling, Robert Shaw, John Nelson, Julius Rudel, Sir Colin Davis, and Sir David Willcocks. 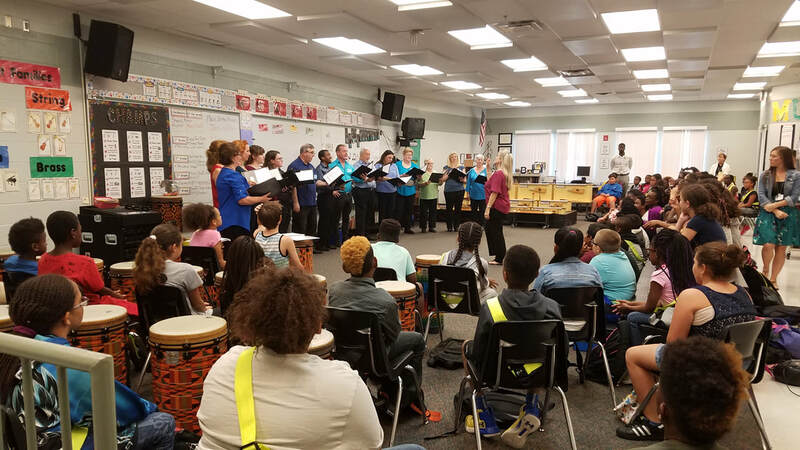 Outreach Choir presenting an interactive and educational performance for Tampa Bay elementary school students under the direction of Deah McReynolds. Master Chorale's Outreach Choir performing a day-time concert for Hillsborough County Elementary Schools with a guest choir from Grady Elementary on stage at the Tampa Theatre under the direction of Doreen Rao and Deah McReynolds. 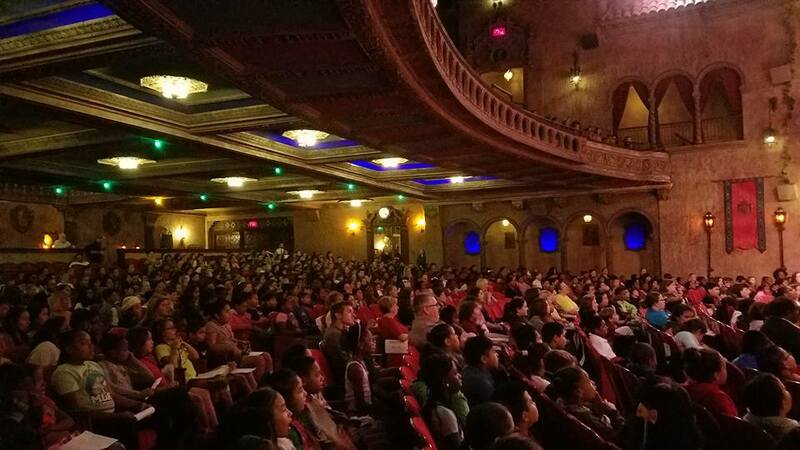 Over a thousand elementary students enjoying the free day-time concert performed by Master Chorale's Outreach Choir at the Tampa Theatre. Master Chorale's Outreach Choir performing a day-time concert at the Palladium Theater for Pinellas County Elementary students. Deah McReynolds conducting.